Would you want to see your traffic grow today? 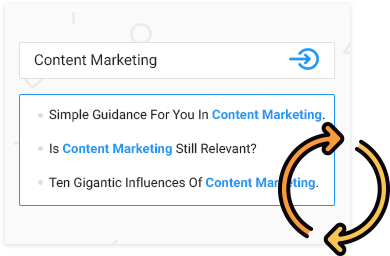 Get more relevant results by describing your keyword! A good headline increases conversion up to 528%. Invest in title, starting from now. 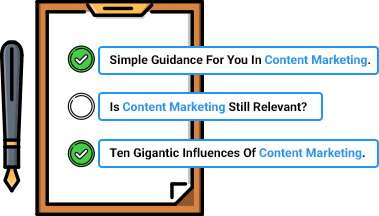 Then, slay your content, get found in search and skyrocket traffic to your site. 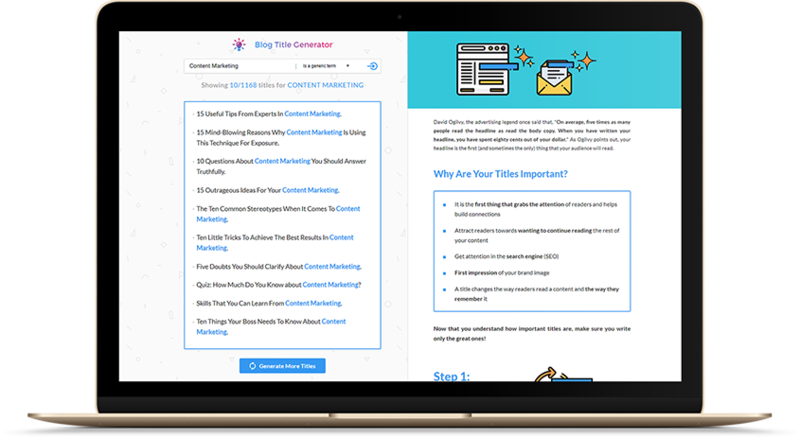 Enter your keyword to generate a list of title ideas for your content, stories, essay, books, blogs, articles, magazines and more. If you’re not satisfied with the results, you can always hit the refresh button to generate a new list of unique titles. With so much to consume and such little time, coming up with relevant title ideas is essential if you want to cut through the noise and grab attention. Whether you are writing a book, a magazine, an article, or even just a blog, you can find a variety of essential titles here that suits your reader’s needs and convert them into being loyal. Get your website to rank high on search engine, attract highly relevant traffic to your site, build your subscriber list with interactive opt-in channels, monetize your website and start making money! None of that is going to happen if you spend tremendous amount of time and money to do it in a less effective (or WRONG) way. Here’s a compilation of years of valuable experience together with the latest data-proven results from getting a bunch of traffic to your website to making tons of REAL money! Learn How These Books Can Help You! “My website conversion has just gone up by 280% in a week after I implemented 2 strategies in your guide. 3 more strategies to go, can’t wait to see how high I can hit this month!” - Steve M.